Do I Need a Formal Education to use a CNC Machine? 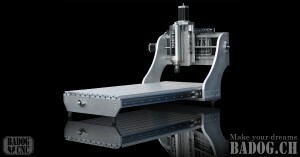 CNC machining is a hobby to many people but it is a profession to other individuals. 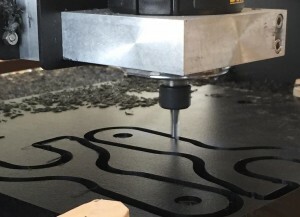 There are classes and schools dedicated to teaching people about CNC machines. 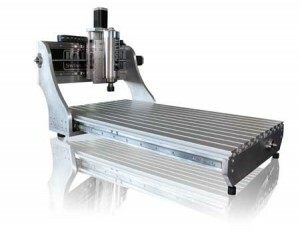 You may ask yourself whether it is necessary to get a formal education regarding CNC machines in order to use one. While it is not necessary, it certainly helps. Operating any CNC machine is by no means self-explanatory and professional CNC technicians are required to go through training. Hobbyists can and often do figure things out on their own but if you have the time and budget to take a few classes they will certainly increase your knowledge of CNC machines. There are a lot of technical schools out there but not all of them will offer training with the type of CNC machine you want to use. Most schools that do offer training programs will not train you in a single classes; multiple classes are taken to break the training process up into several sections. Beginning classes may not even offer any hands-on training with the machine; actually working with the machines can be reserved for later classes in the training program. Beginner classes will teach students about the basic concepts of CNC machines. Remember that even if you know a bit about CNC machines the same may not apply to everyone in the class. Just because the information the class is going over is not benefitting you does not mean no one in the class needs to learn that material. It may be boring at first but you have to get past the basic courses before you can move onto the real fun stuff. These courses will frequently cover the limitations of CNC machines. You will be taught to consider factors like tool selection, spindle speed, cutting sequences and clamping and positioning before you turn your machine on. Reviewing the function of G-code and how it interacts with a CNC machine is also commonly covered. Examples of coursework in beginner classes includes establishing how you will choose the right tool for a project (considering factors like safety and efficiency), installing handling devices and tools, loading G-code into the machine’s software and producing sample parts to make sure they match specifications and operation instructions given to you. Advanced classes are where you start to really use the CNC machine, now that the beginning classes have taught you the basics of how to operate it. Initial advanced classes tend to start with reading, comprehending and making CNC programs for basic tasks like drilling, threading and turning. Later classes will cover more complex tasks like machine adjustments, program editing and creating new command syntax. Coursework in these classes may involve things like comparing test results to identify editing needs, regulating and adjusting coolant flow, repairing or replacing damaged tools and taking steps to prevent damage to tools, the CNC machine and the material being used for your projects. These are generalizations of how a CNC machine training program is run and each institution may do things a bit differently but most places will do something along these lines. For a hobbyist it is not 100% necessary to take classes for CNC training but you will learn any subject faster when it is taught to you, compared to just figuring things out for yourself. Even if you do not have the time or budget to attend formal training at a school you should still look up tutorials and other help videos online to get a better idea of where to start and what to do. Everyone was a beginner at some point and they all had to learn somehow; determining the most effective and efficient way of learning is up to you. 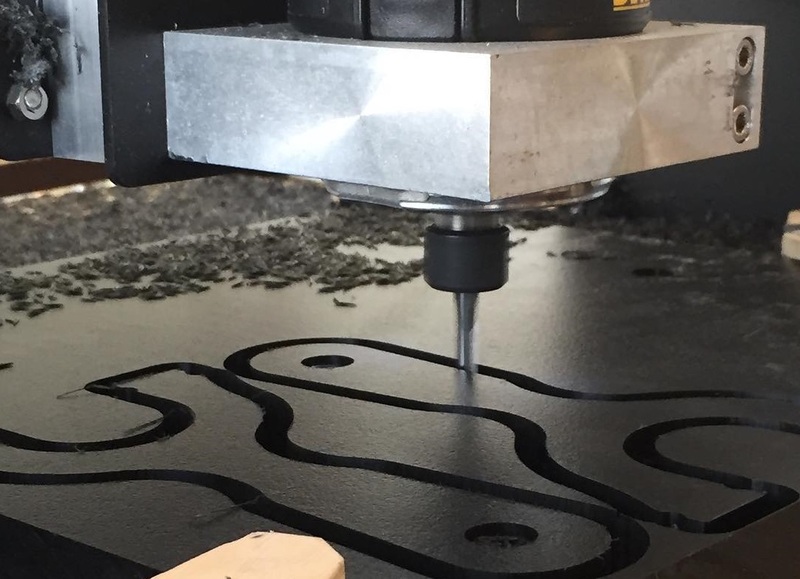 When you first buy (or build) a CNC machine your primary concern when working on your budget is likely going to be figuring out what the best quality parts you can afford are. Every machinist, from professionals to hobbyists, wants to get the best CNC machine that they can in order to make machining processes as smooth as possible. While you should certainly concern yourself with the necessary parts of the machine first, so that it can actually run, there are additional considerations you can take. Attachments (or accessories, add-ons, or whatever you wish to call them) may not technically be essential to the running of a CNC machine but once you start using them they can be so beneficial that they will certainly start to feel like necessary components. Some attachments are so common that many machinists would likely argue that they are essential components to any CNC machine. Ruin boards are a great example of an attachment that fit into this category. Image that you have your CNC machine set up and you are ready to machine your first project on your nice, new t-slot table. With what you just paid for that t-slot table you can picture what a nightmare it would be to accidently cut right into the table and destroy it. Keeping a ruin board between the table and your material should stop this from ever happening. Ruin boards do not need to be too thick; usually something between ⅛” and ¼” will work fine. New machinists may want to use a thicker board to leave more room for error. 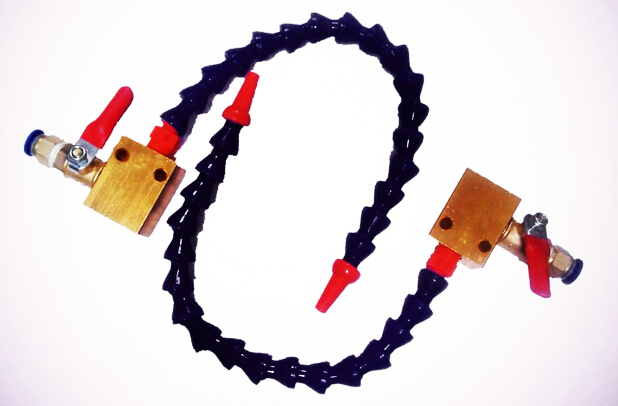 Clamps are another great, yet simple, attachment that most basic CNC machines should include. Any level of precision machining will require you to hold your material still. There are a lot of ways to do this and clamps are one of the easier and more cost efficient methods. 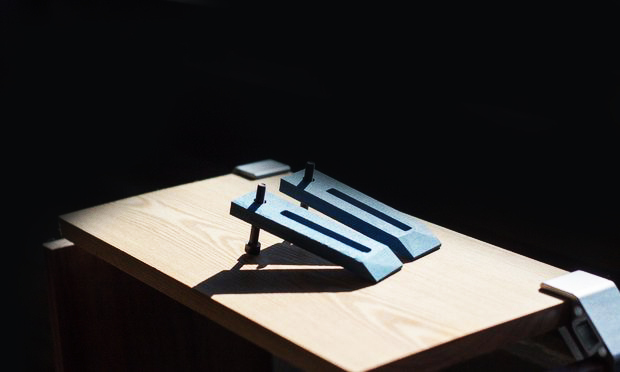 Sometimes you may have other methods available; t-slot tables utilize t-slot nuts, step blocks, step clamps and other implementations but it can be a hassle to find pieces that fit the specific table you are using. Making a clamping system of your own can be much more effective. Be creative and try to develop an easy-to-use system that works well with your equipment and set-up. In some cases clamps may not be a good hold-down method because the item you are machining is too small. When you find that your clamps are too large, a milling vice is an excellent alternative tool. While a regular vice could be jury rigged to your table, a milling vice is designed specifically to work with a CNC machine table and they tend to be extremely precise. There are many different types and brands of milling vices in many different sizes so determine your needs and do a bit of research before committing to anything expensive. Once you have a hold-down system in place you can start actually machining. On any project you want to make sure that everything has been machined accurately and there is no set of tools better for this than a pair of calipers. Digital calipers are the way to go for their extreme precision; 0” – 6” calipers will work fine for the vast majority of measurements you need to take while examining the finer details of projects. Cheaper calipers work fine but like any other tool you will want to go for the higher end of tool quality and price range as your budget allows. During and after machining, chip evacuation will be one of your primary concerns. Using an air sprayer is the best way to clear out chips while your CNC machine is running. Any standard air compressor with a trigger nozzle can do this well. Clearing away chips during the cutting process is often a critical procedure. After your machining has been completed you will want to use a shop vac’s powerful suction to get all of the chips out of your work area, leaving everything crisp and clean for your next project. Any time you are working with chips, and when using a CNC machine in general, always remember to wear safety goggles. Keeping anything that is made of metal clean can be a hassle for anyone who is inexperienced in doing so. Getting rough aluminum you purchased from a manufacturer to look nice can be a chore as well. Thankfully both of these tasks are not too difficult once you know what to do and both of them can have your items looking much nicer whether they are newly crafted or if you have had them for years. Aluminum is one of the most common metals used in making items, from spoons to car wheels. Over time items made from aluminum can lose their shine and become dark colored. Restoring an item back to spick and span shape is an easy process as long as you are using the right tools. Start to clean your tarnished metal by washing it with water and plain dish soap. Once the item is soapy a cloth or rag can be used to scrub the dirt and grime off. If you need stronger scrubbing power use a toothbrush but make sure the bristles are not too rough or you could damage the aluminum with your scrubbing. Rinse the scrubbed item off with water and mix cream of tartar (potassium bitartrate) with some water to form a paste. Before applying the paste you can sand the item so that it will have more of a shine when you are done polishing. Using your cloth or rag from before to apply the paste and wipe the aluminum using circular motions. In hard-to-reach spaces like corners or in grooves you can put the scrubbing toothbrush to further use. Once you have polished to your satisfaction rinse the item off with water and dry it with a cloth. Lastly you just need to apply aluminum polish and your item will shine once again. Do not apply polish to the inside of a pot or pan, utensils or any other surface that comes into contact with food; polish can be toxic. Some polishes are also flammable so if using them on a pot or pan or anything else that can be exposed to flames do not use the polish on an area that will be touched by fire. When you choose your cleaning supplies do not use baking soda or any other alkali-based cleaner as they cause discoloration to aluminum. If you are using a cleaning product you have never used before you should probably clean a small section of your item before applying the new chemical fully in case there are any mishaps. Do not forget to be gentle and timely with it when cleaning. Harsh scrubbing can scratch aluminum and if aluminum is not hand dried quickly enough streaks and spots will form from air drying. Now that you know the steps for properly cleaning aluminum we will talk about finishing raw aluminum so that your clean items will be made from the finest material you can work with. There are several options for finishing it. Your first option is to brush and anodize the aluminum. This is a low-cost option and it can be done quickly. A brushed appearance is also fairly popular for making products. On the downside brushing can alter the tolerance of aluminum and if you brush too forcefully the aluminum can come out with a rough surface. The second option is to use bead blasting. Bead blasting is like power washing but you use an abrasive substance, such as sand, instead of water. This method can make aluminum look very nice without changing tolerance but it will require some trial and error to get the result you want. Bead blasting is also more expensive than brushing and rough aluminum will need to be tumbled before being blasted, raising prices even further. The process of bead blasting is also done manually which can cause inconsistencies in the finish. Your third option is to bead blast while also bright dipping and then anodizing. Bright dip is a substance used in place of etching that reduces the dullness of the metal. Bright dipping leads to excellent textures and appearances in aluminum and costs roughly the same as anodizing. However, bright dipping is corrosive so it can be difficult to find this service in some countries. Since this process still involves bead blasting you will retain the downsides of that process as well. Find the process that works best for your goals, your project and your budget and you should be able to get your project just the way you want it.